Great news Chris Cornell fans, Soundgarden have gotten back together. So instead of awful Timbaland produced crap, we'll have more grunge rock from one of the finest bands of the early 90s. Not much news is out there yet, but they're going back to the studio to record a new album. "The 12 year break is over & school is back in session. Sign up now. Knights of the Soundtable ride again"
London-based semi-Irish band I am Not Lefthanded will be releasing their newest EP later this year. They're also redesigning their website to make it a little more interactive. Most importantly is news of a European Tour, where they'll be travelling all over, including Ireland. I'll have news of this nearer the date, but expect them to arrive back on our shores sometime in March. Alright the Captain will be back touring around Ireland in February in order to promote their upcoming debut album, as well as a split EP they've recorded with Beyond This Point Are Monsters. The debut album should be out some time later this year on Field Records. Chrik will be supporting them at all their Irish dates. 20th - Twisted pepper, Dublin w/ Friend? Laura Marling's second album I Speak Because I Can will be released on Virgin on the 2nd of March 2010. It'll be produced by uber-producer Ethan Johns and will be a more rootsy album than her debut. Lead single 'Goodbye England (Covered in Snow)' came out last week and gives a hint of what to expect. Have a listen below. Suggs brought the Madness to Dublin's O2 on Monday (see what I did there), for one of the last big gigs of 2009. It went down a treat with all their longterm fans (somehow I doubt there were many new converts), as they played a mix of old and new. 1.One Step Beyond 4:12 Min. 7.Sun & The Rain 4:30 Min. 8.Johnny The Horse 3:26 Min. 10.In The Rain 2:32 Min. 14.Bed & Breakfast Man 3:00 Min. 18.House Of Fun 2:47 Min. 19.Wings Of A Dove 3:11 Min. 22.It Must Be Love 6:27 Min. 25.Night Boat To Cairo 4:52 Min. Set thanks to Mad.Irishman on the Madness Central Forum. Fantastic early Ryan Adams solo show which has Gillian Welch on guitar and vocals in the latter half. 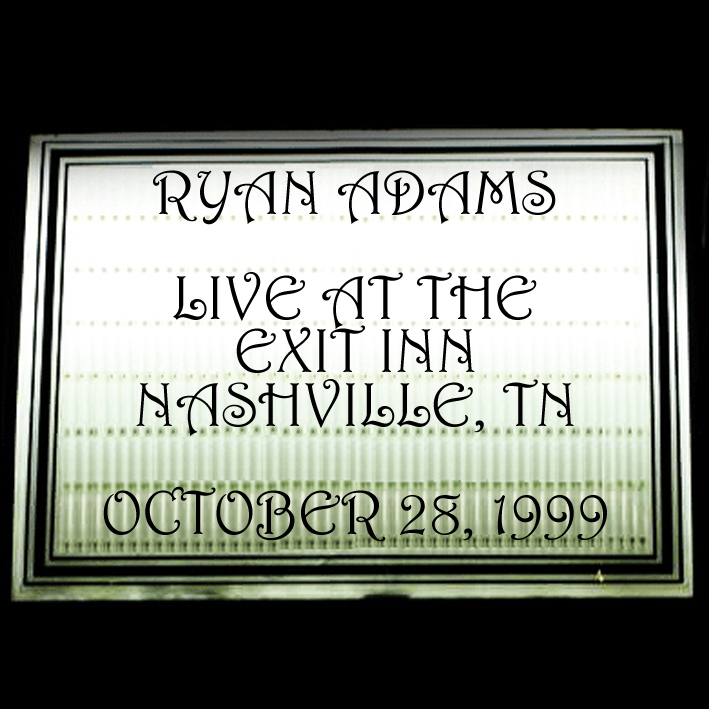 Recorded October 28, 1999 at the Exit/In, Nashville, Tennessee.